When devising your content strategy, customer experience should be at the core of your content creation. The effect your content has on your customers can lead your customers to take the desired call to action. Think about how your content touches your prospects at every stage of the customer journey.From cold prospect to existing customer, your content can have a huge impact. Your content should evoke the desired emotions in your customers, whether that is satisfaction, comfort or confidence. Using your content to improve your customer experience can help move your customers along the sales funnel. It can lead to an increase in word of mouth marketing. As consumers we all like to feel looked after and listened to and, when we are, we tell our friends, family and colleagues. Here are 4 reasons why customer experience is key to your content strategy. Use your blog and social media to provide your potential and existing customers with valuable information that addresses their pain points. Truly understanding your customers and identifying your customer’s persona’s will help with planning your content. Think about all the problems your customers are likely to be facing either now or in the future. Create engaging content that provides advice and solutions to their issues. Creating your content in this way will give your customers confidence in your business, leading them to take the desired action. Developing the correct tone of voice for your content is vital to ensure that you are speaking the same language as your customers. We’ve all read an article that by the time we’ve reached the end we have no idea what it was about! Keep things simple. Avoid over complicating your content by using unnecessary jargon and keep it short and easy to read. Difficult to read, lengthy content that contains huge paragraphs of text is one of the biggest reasons customers become disengaged with content and your brand. Keep it short and easy on the eye by limiting your paragraphs to 4 or 5 lines of bitesize information. 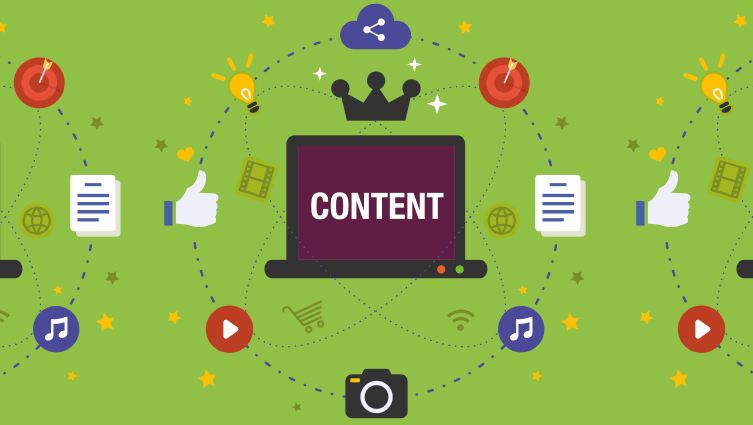 A good content strategy will keep you top of your customer’s minds. They are more likely to remember your name when they need your product or service. Keep your blog up to date with valuable information. Keep your social media pages active to increase your reach and raise brand awareness. Your content can reach people who aren’t looking for your product or service now, but when they are they will know who to come to. Ask your customers for their feedback on your service and future products or services they would like to see. Use this information to assist you when devising your content strategy. This will demonstrate that you value your customer’s opinions and that you listen to them. It shows you are taking action to address their feedback. From regularly updating your blog to posting useful and informative content, or competitions, via social media, we can help your business. Get in touch on 01527 517309 or fill in our contact form.